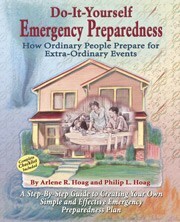 The latest book of practical disaster preparedness tips, that every individaul and business should consider. An easy thought provoking guide to essential things you can do to survive the most common emergencies; including how to deal with medical emergencies, and biological terrrorism, even on a limited budget. Intersting and helpful, every home should have this guide.